(I still owe a response to Novacek’s very long comment on this post but have to decide if I want to spend the energy to format it into a table first. Dude, sick there’s a reason people have blogs of their own sometimes). Here’s a shot I snapped last week of a more typical one (obviously still under construction) – this is in front of Natural Grocer on northbound Guadalupe near 39th. Note the lack of room for a bike rack, and the intrusion into what’s already a very narrow sidewalk. 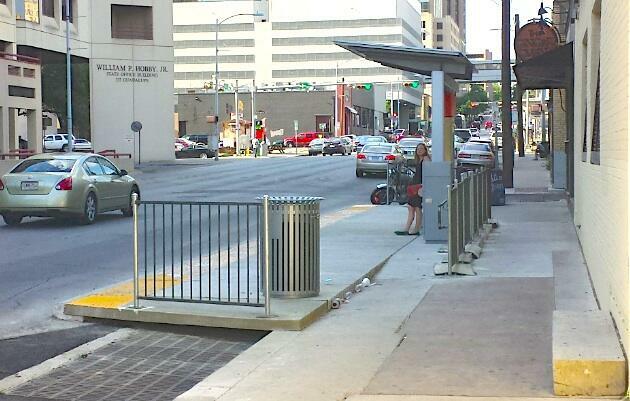 I took this picture originally to counter a claim by a Capital Metro representative that all stations would have bike racks – which they’ve now dialed back to “unless there’s some nearby”. I don’t have pictures yet, but the northbound MetroRapid stops at UT are only a little better than what you saw at Natural Grocer. The stop at 23rd is just OK – along the lines of a good local stop – but the stop near Dean Keeton is a tiny alcove where the bike racks will block pedestrian traffic on the existing sidewalk if they get used. 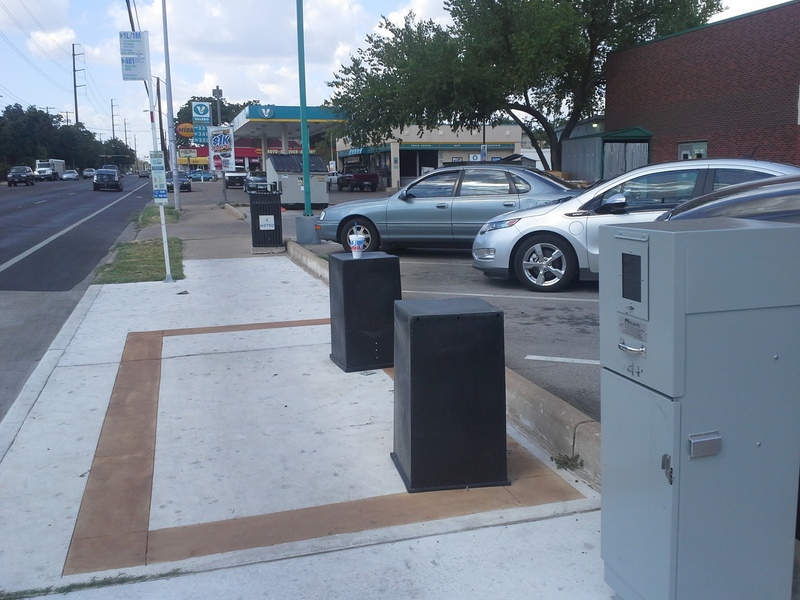 I will likely be urging the city to force Capital Metro to get rid of those racks as they present a safety hazard for pedestrians there; and for those of you who have known me a long time, for me to advocate against something bike-related is a big deal. 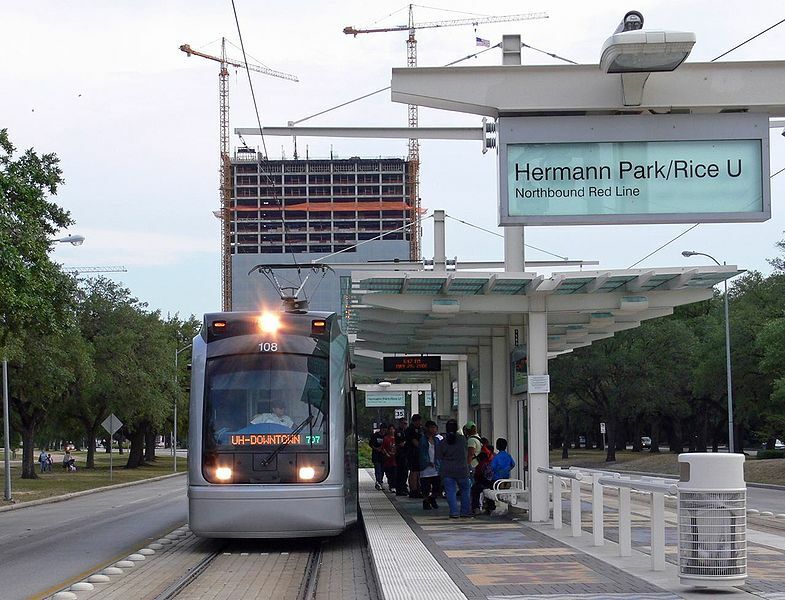 Now, if your argument is “this is going to be as good as rail for Central Austin”, you’ve got to compare to Houston’s MetroRail above, which is similar to what 2000’s light rail plan had planned for ‘stations’ – i.e. long boarding platforms in the median where they wouldn’t compete with existing sidewalk users. 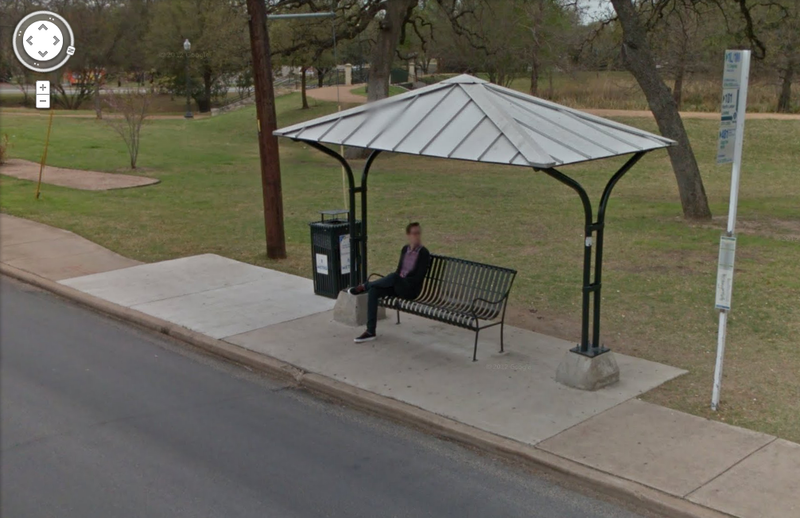 If your argument is “this is going to be a signature bus service which blows through the constraints old bus service had and be ALMOST as good as rail for Central Austin”, then you have to explain the fact that the best MetroRapid stations aren’t much better than existing good local stops, and the worst are far worse. In fact, it looks like they accepted whatever scrap they could carve out of existing ROW. 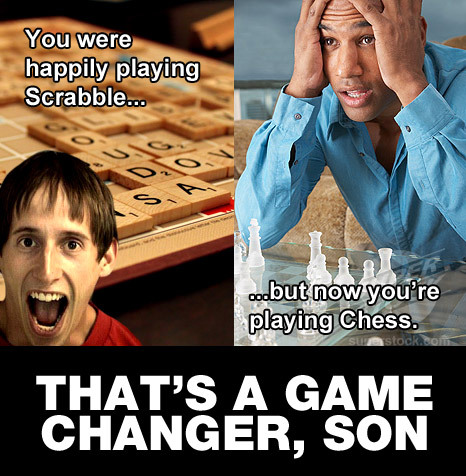 But if this is too much for you, and you’re feeling kind of negative again, feel free ignore all the analysis above, plug your fingers in your ears, and chant “GAME CHANGER!”. Note: Jace replied to me on twitter that I’m selling the new ‘stations’ short by not mentioning the arrival boards (the “next bus comes in X minutes” thing). That’s true; this particular post was referring more to the spatial aspects of the station. One thing that current bus service does not have in any way, shape, or form, is a way to know how long until the next bus gets there. This is not a selling point for MetroRapid, though, so much as it is an indictment of current bus service – because this has been technologically feasible for at least a decade. It will be nice that I can know when the next Rapid Bus will arrive, in other words, but there’s no reason I should have had to wait for Rapid Bus to get that information – I should be able to know right now when the next #1 or #101 arrives.